Daun Sirih in bahasa or Betel leaves, Betel leaf is the leaf of the betel plant that grows and spreads has a myriad of health benefits for the body. Properties can be obtained in various ways. Betel leaf consists of two types of colors, namely red betel leaves and betel leaf green. Both are easy to find and has a variety of benefits. Not only for health, betel leaves can also be used for beauty. So it is not uncommon mixture of betel leaves used as material for a wide variety of women's cosmetics. Basically, red and green betel leaves have nearly the same benefits. But usually green betel leaf is often used because it is easier to find. The benefits of betel leaf is to treat canker sores in the mouth. How to use it as a cure canker sores is by chewing the leaves directly. But not only that, betel leaves can also be mixed so that the water decoction of betel leaf can be mouthwash. By doing this regularly, then thrush will quickly disappear. Natural remedy such as this is much safer than using drugs that instant. 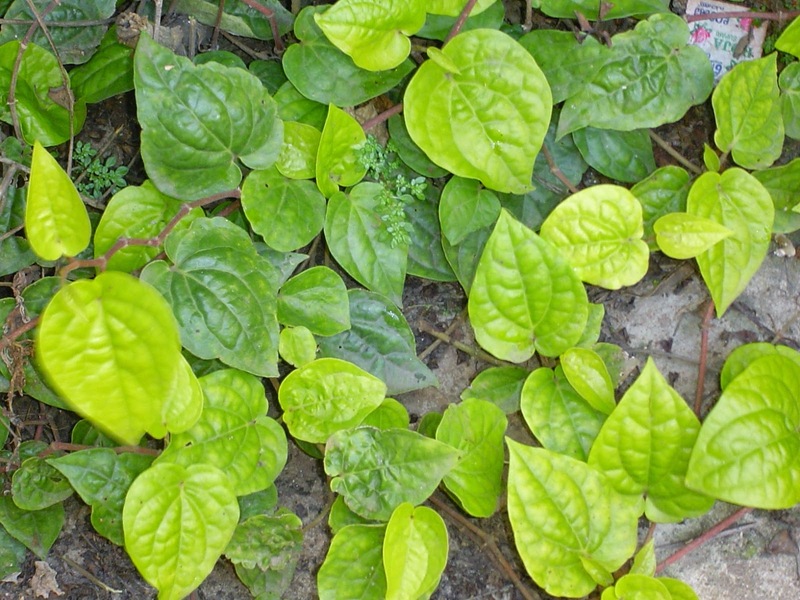 Betel leaves as mouthwash can also eliminate bad breath. In addition, betel leaf can be used to treat nosebleeds. Nosebleed is blood coming out of his nose. You do this by mashing or rolled betel leaf which is then plugged into the nose. This method is very effective because it does not take long for the blood to stop working betel leaves coming out of the nose. Only about ten minutes, the blood will stop flowing. For women, betel leaves are very helpful to overcome white. You do this simply by drinking water regularly betel leaf decoction or boiling water can wash the area into womanhood. Besides overcoming whiteness, it is also beneficial to maintain the health of the female organs. Even the benefits of betel leaf can also be used as a burn treatment. How to use it is to heat the betel leaves to wither and to areas experiencing temple burns. Perform routine so that efficacy will be noticeably faster. Betel leaf has many health benefits. Betel leaves were there everywhere so it is not hard to find. Among other benefits to treat canker sores, bad breath, bleeding and burns. Even betel leaf decoction is also beneficial to overcome white for women.